Near Laser Assisted Lipolysis, known as NLAL, is a non-invasive and completely painless procedure that emulsifies fat which is then disposed by the lymphatic system as waste. There are no needles, no downtime and no bruising with the positive impact of fat loss and body contouring. After each Lipo-Laser session patients stand on a vibration machine that stimulates muscle activity and blood circulation to optimize the effect of the Lipo-Laser treatment. At Stuart Family Chiropractic and Acupuncture Center here in Stuart Florida, our team will consult with you individually to determine if this procedure is right for you. If you want to lose fat, but don’t want the downtime associated with invasive surgery, NLAL may be for you. Contact Stuart Family Chiropractic and Acupuncture Center today to learn more or to schedule a consultation. NLAL is a great procedure if you are in good overall health, but have areas of fat you would like to lose. NLAL is extremely effective and patients have been very pleased with their results. What parts of the body can be treated with NLAL? NLAL is a great treatment to reduce fat in many areas of the body such as neck, back, arms, love handles and the tummy. A series of treatments make for the best results. The duration of your treatment will depend on the part of the body being treated. Treatments typically take less than an hour. Because NLAL is a non-invasive procedure, there is little or no down time, and our patients return to work the same day. Q: Should I exercise during treatment? A: Yes. This helps speed up your lymphatic system and improves your overall results. Q: How many calories are released during treatment? A: One treatment can release about 300 calories, often more in some cases. Q: How is fat reduced? A: When your body needs energy, the brain signals adipose cells that they need to break down stored fat. This is known as lipolysis. After 20 minutes of treatment, with exercise, demand for energy is created. 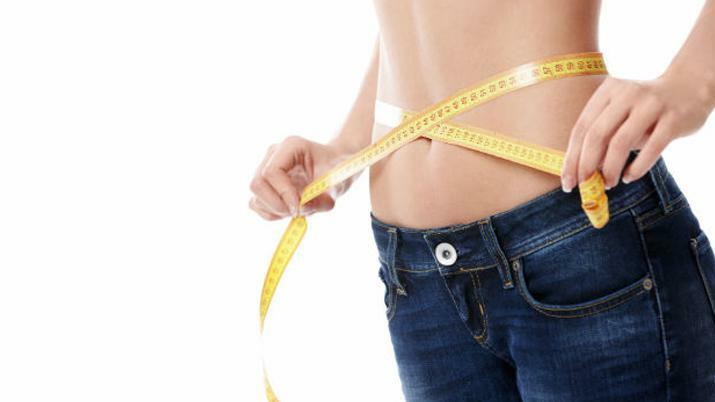 This demand is met by released fatty acids and leads to losing inches! Q: Can I use a body wrap following NLAL treatment, rather than working out? A: Body wraps offer no benefit for fat reduction, according to medical research. Wraps may be worn if you like, but they are not a substitute for working out. Patients should increase their activity to burn calories. It is the only way to eliminate fat from the body. Q: How many treatments can I receive? When should I stop treatments? How much time should pass between series of treatments? A: Our standard course is eight to 10 sessions, two times a week for four weeks. There are two optional sessions during the following two weeks. Doing two treatments per week allows fatty acid levels to stabilize after each session. Additional treatments can begin following a two-week break. This 14-day break lets your body return to its normal mode and helps us determine if you are making the diet and lifestyle changes needed to maintain NLAL benefits. Q: What is NLAL’s absorption rate? A: The LED system we employ has a dramatically higher absorption rate compared to laser. Typically LED offers a 70 percent absorption rate compared to laser’s 30 percent. This gives you a better chance to achieve the results you want – both in inches lost and fat reduction. A: Yes. We recommend using glasses for facial treatments to prevent the risk of headaches in those who are prone to them, including migraine headaches. Discover how NLAL treatments can improve your look, confidence and self-esteem. Contact Stuart Family Chiropractic and Acupuncture Center today for a new you.